A lovely collection of contemporary styled shower folding seats that can be anchored to the wall and folded away when not in use. Each wall mounted shower seat has been manufactured and designed in Germany and Italy ensuring great quality and lovely design. 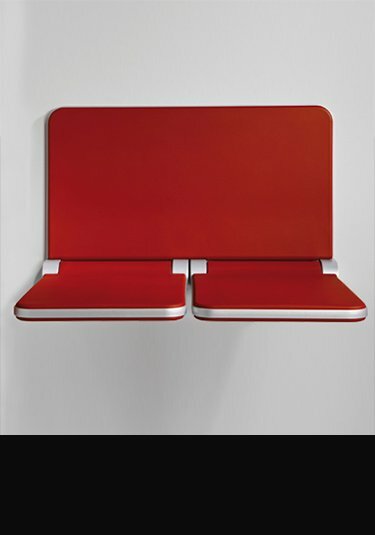 Fully waterproof and steam proof, these seats are ideal in bathrooms, showers, steam rooms and wet rooms. Being very strong and durable these fold up shower seats are suitable for the disabled and infirm and being good looking these seats are not a reminiscent of hospitals or disability, which is welcomed by many. 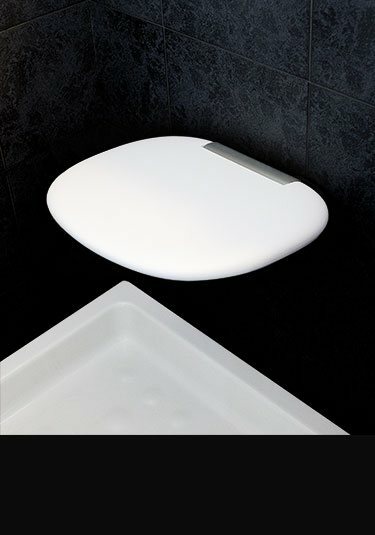 Italian styled, this fold up seat is a contemporary addition to any shower. This luxury quality waterproof seat is fully water and steam proof and is supplied with a 10 year guarantee. A high quality fold up shower seat supplied in a white finish. 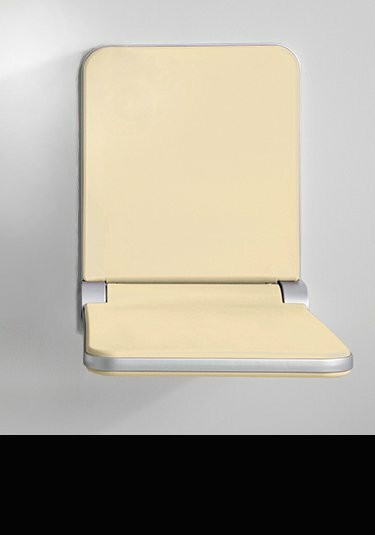 This folding away seat is also suitable for steam rooms and bathrooms. Designed and manufactured in Germany. German quality hinged shower seat that can also be supplied with a backrest as an option. This comfortable waterproof and steam proof seat easily folds away when not in use. Also available in a white finish.